Next125 Polar white high gloss handle-less units. 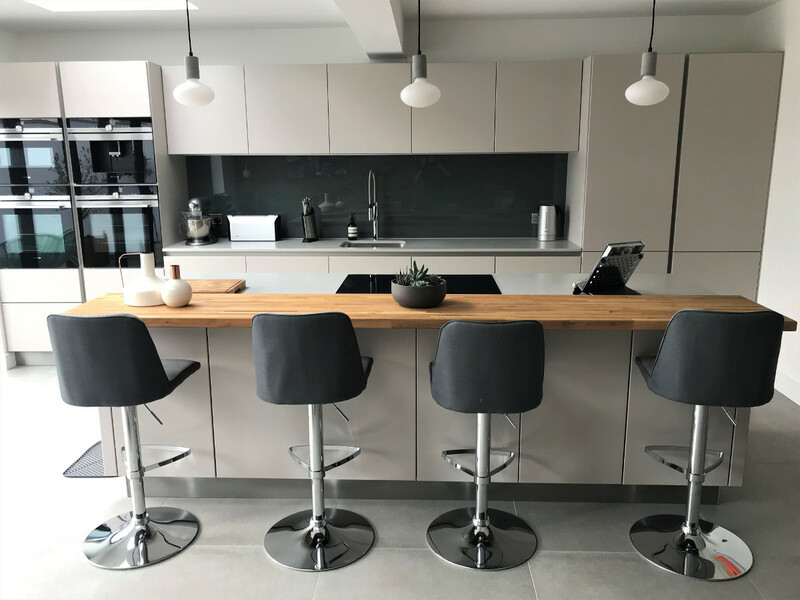 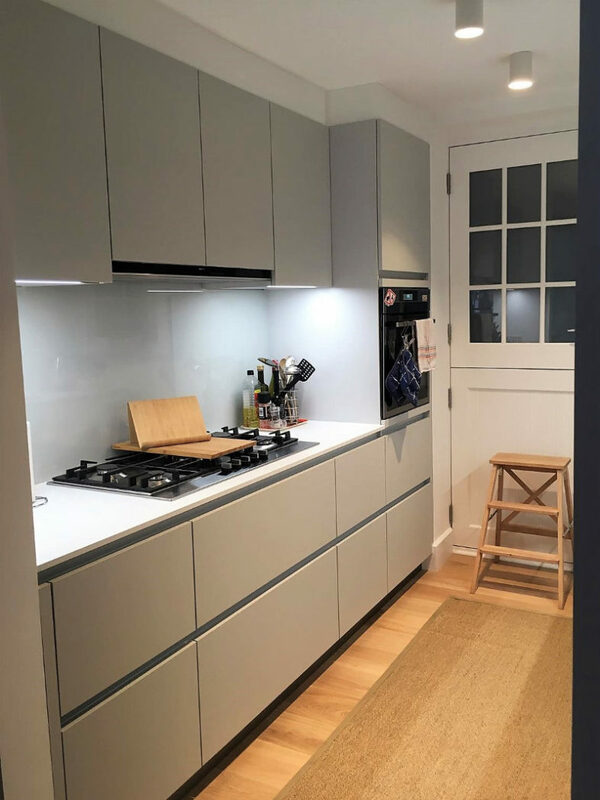 Quartz grey carcase with glass boxside drawers. 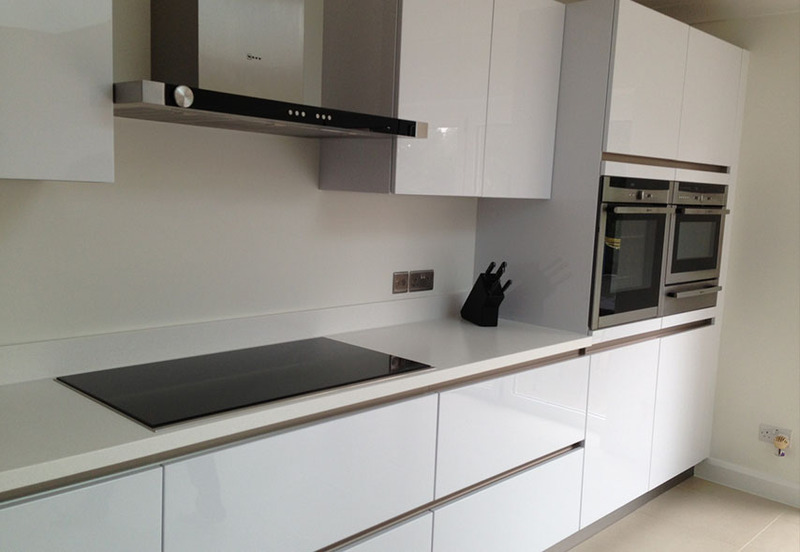 Customers own 30mm absolute blanc stone worktops. 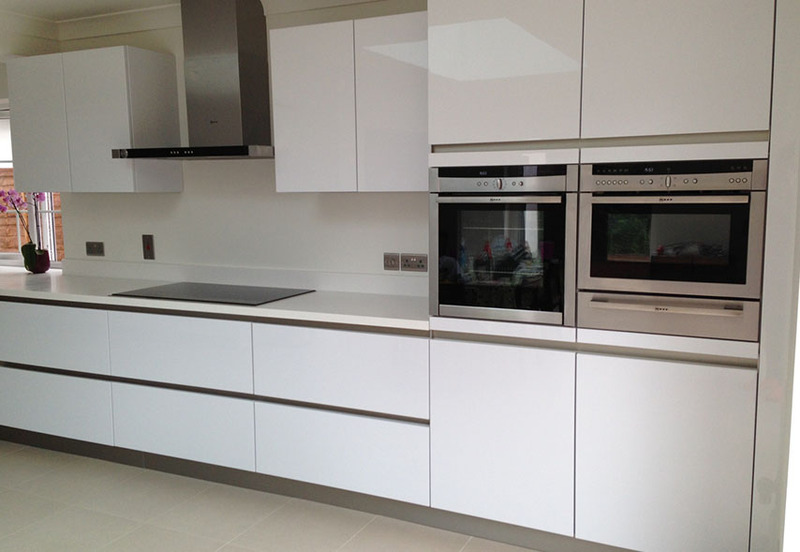 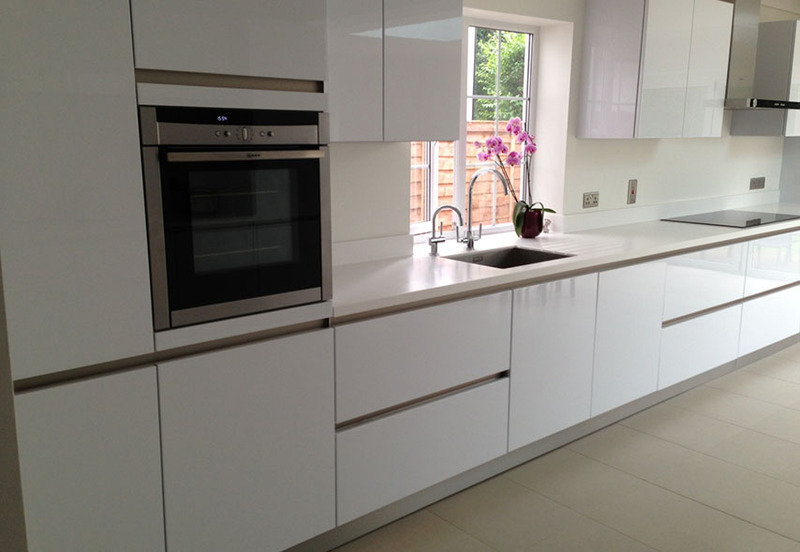 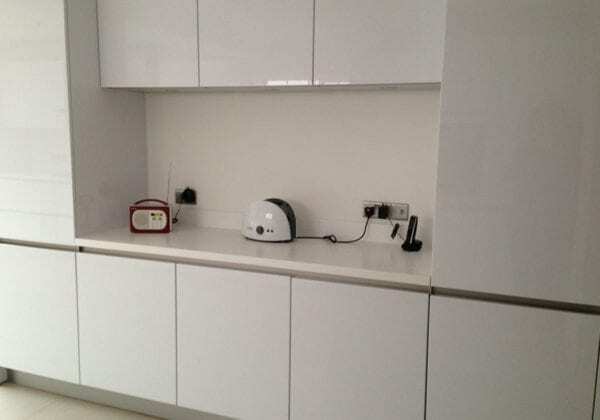 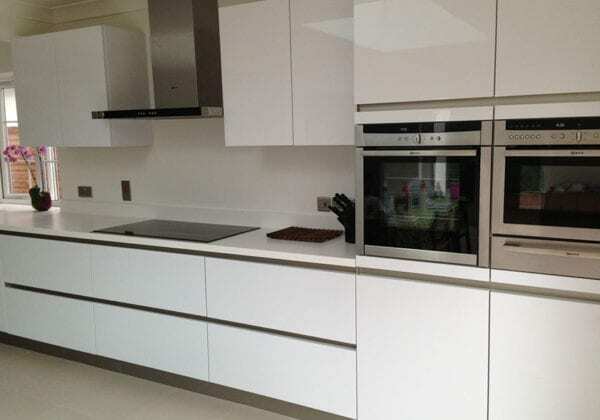 Island is 2.4 metres in length also in Polar white.